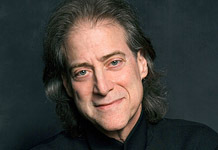 The brilliant, famously neurotic comedian Richard Lewis is known to millions from his thousands of TV and radio appearances, HBO comedy specials and his sold-out concert at Carnegie Hall. Often referred to as a comic’s comic, he was named on G.Q.’s list of the Most Influential Humorists of the 20th century. In continuing to redefine himself, he expanded on his acting career by making different kinds of choices. Lewis took on his first dramatic role in Drunks, co-starring Dianne Weist, Faye Dunaway and Amanda Plummer. Built around an AA meeting, Richard received rave reviews as the central character, Jimmy Epstein, an addict fighting for his life. Lewis also got excellent notices for his cameo appearance as an agent in another film that dealt with alcoholism, Leaving Las Vegas. Furthering his ‘indie’ credits, Lewis also completed the film Gameday, as Coach Adler, a college basketball coach whose personal life is in shambles but, on the court and in the locker room, he’s brilliant. Ironically Lewis had, earlier in life, battled some of the same demons these films address and he is uncompromisingly honest about them in his book. With scores of other guest acting appearances and TV series under his belt, far and away his favorite was his four year run in ABC’s critically-acclaimed series Anything But Love, co-starring with Jamie Lee Curtis. Late night T.V. viewers, Howard Stern fans and media junkies in general are familiar with his frequent guest appearances. He may hold title to having the most late night appearances, chalking up over 50 each on Late Night with David Letterman and the Tonight Show alone. Along with continuing personal appearances and countless acting roles, in 2003 Richard Lewis returns as a recurring guest star to the AFI award-winning, Emmy-nominated weekly HBO series Curb Your Enthusiasm as one of Larry David’s closest friends (as is true in real life). Mr. Lewis also continues appearing as Rabbi Glass in the critically acclaimed family drama 7th Heaven on the WB network. In his speeches, Mr. Lewis reaches to his comedic roots to recount his rise – performing to a standing room only audience at Carnegie Hall, 6 hour-long comedy cable specials, and an extraordinarily successful acting and stand-up career – and fall – into the depths of alcoholism. Using his unique gift of communication he draws on his years on the center stage he presents a commanding and compelling discussion of issues like recovery, self empowerment and using humor as a life tool. Mr. Lewis resides in Los Angeles. Do you want to hire Richard Lewis? Directly request a quote. In 48 hours we can send you the availability of Richard Lewis If you would like to book Richard Lewis, Entertainment Booking Agency is the right place. We will offer you the best price and contact the management or we directly contact Richard Lewis. For corporate appearances or speaking engagements you can contact our agents and the will help you true the process. Tags: hire Richard Lewis, Richard Lewis booking, book Richard Lewis, Richard Lewis appearances, find more information on booking Richard Lewis for appearances, Richard Lewis speaking engagements, Richard Lewis endorsements/spokesperson, Richard Lewis appearance fees, Richard Lewis booking agency contact info, biography of Richard Lewis, Contact an artist booking talent agent find a speakers bureau that can book Richard Lewis, speaker booking agency for Richard Lewis, Richard Lewis booking agency, Richard Lewis booking for corporate event. EBA is one of the biggest entertainment booking agencies in the World. We book hundreds of celebrities, artist, athletes and speakers in a year. Important to know is that we are not claiming to be the management of Richard Lewis. We are not the official agent for Richard Lewis. Companies from around the globe book these artists and speakers true our company be course we have one of the biggest networks and we always have direct contact with the artist or the management. We help you to find the right celebrities for your corporate of private events. Please contact one of our agents to get free advice and we will help to get the world-famous artist on your party.